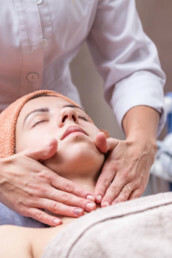 The health benefits of Massage Therapy extend beyond simply soothing aches and pains. Massage Therapy Can Relieve Stress. Stress is a prevalent component in today’s fast-paced world which can negatively impact on an individual’s health and well-being. Massage therapy has been shown to be a means by which stress can be reduced significantly on physical and psychological levels. Our services take you into a deeper healing state of mind, working through what you need out of it. Buy 5, or 10 Massage or Facial packages and save. Limited time only. Happy Hour Services - $65 for 60 Min Massage Or 60 Min Facial. 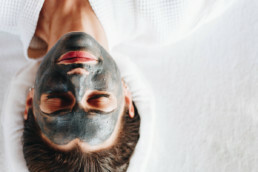 Refreshing facials enhance the beauty of your skin and can minimize fine lines, reduce the appearance of acne scars and support a striking complexion. Make your appointment today and discover how the latest skin improvement technique can transform your appearance. Whether summer or winter, keeping your face and body smooth and free from unwanted hair will leave you feeling confident and care-free. Seeking salon services for a professional wax ensures all hairs are properly removed. Maintaining supple skin is made easier with the assistance of a spa beauty waxes.